You are at:Home»All News»A special acharya! 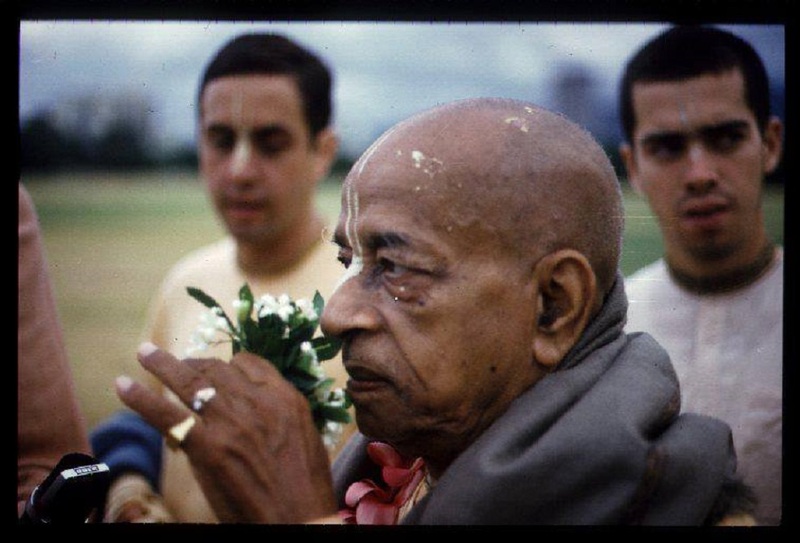 Srila Prabhupada, as an old man, did so many things. Yes, he pulled it all together, everything! 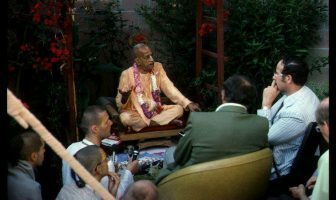 He knew where to find all the information and whatever he got from the Gaudiya Math, from various sources and experiences; it all came together and that made him most wonderful! 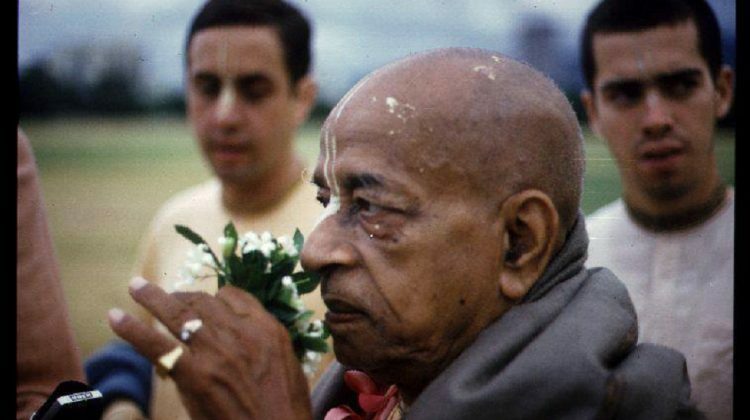 We can glorify Srila Prabhupada for being the special acharya, more than a spiritual master. 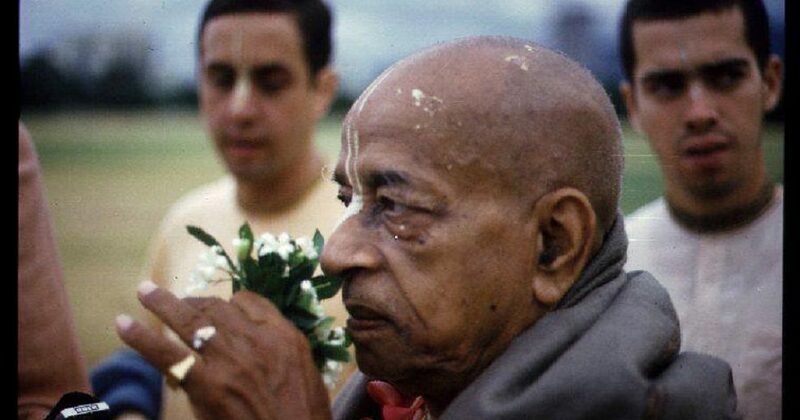 We can glorify him for being especially empowered by Krsna to do a mission which happens only once in a day of Brahma. Only once in a day of Brahma, Lord Krsna appears in the dwarpa yuga. 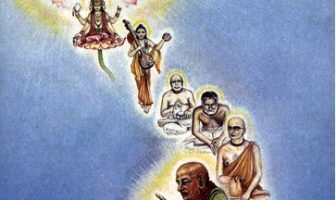 Once in a day of Brahma, Lord Caitanya appears in the kali yuga after that and then the mercy of Lord Caitanya is taken from East to West; that is done once in a day of Brahma. Then you get like the golden age all over the world. 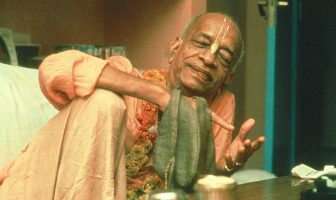 So Prabhupada did that, he took this knowledge from East to West! And not just artificially but by thoroughly establishing it. Not just by giving some lectures, but he brought it from East to West by planting it into people’s hearts and making a change – making a real change! It is said that those who tolerate the difficulties, the pushing of the senses, the temptations of the material energy, the difficulties that come on the path and that create like truly impossible situations tat te ’nukampāṁ su-samīkṣamāṇo – one who faithfully endures, they become dāya-bhāk – the rightful heir to the mercy of the lord and they go back to Godhead. So the faithful ones –that is what we must be, that is something one must contemplate!